This is intended to be a guide for contractors and freelancers working with organizations that want them to use Hubstaff as part of their remote working arrangement. 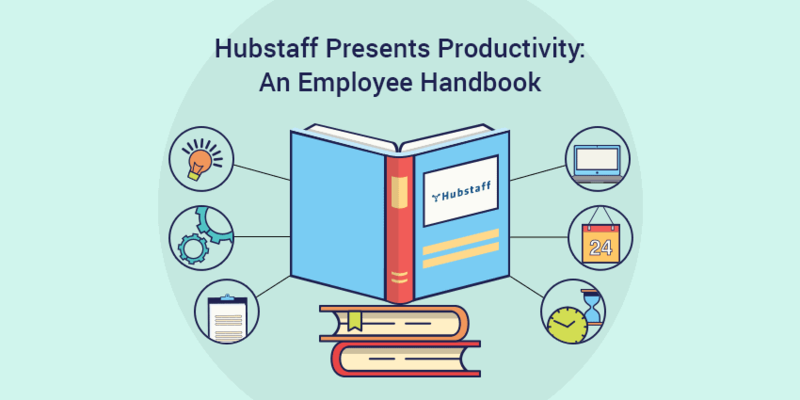 We hope that if you read through our best practices, you can use Hubstaff to create a healthy working relationship with your boss – one where they’re happy with your work, and where you have their trust and appreciation. Remember, this is only a guide, and it’s not intended to serve as an agreement between you and your employer. You should always talk things over before starting work and make sure you both have the same expectations of your working relationship. Hubstaff is a time and productivity tracking tool that simplifies remote working relationships for employees and their employers. Hubstaff builds trust between the two sides of this working relationship by helping employees track their time to specific tasks set up by the employer. If their employer wants, they can enable screenshot and productivity measuring tools that give both the employer and the employee insights into how effectively work is getting done. To begin with, the employer or client that wants you to use Hubstaff should have set up tasks in their online project management system of choice, and they should have their Hubstaff account linked to the project. From there, they’ll need to log into their Hubstaff account and invite you to their organization. Then all you have to do is download Hubstaff, install it, and you’re set! 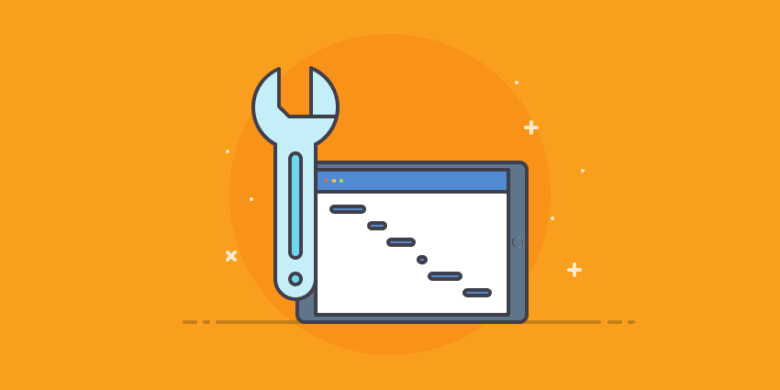 If you’re a contractor and you need to set up your Hubstaff for multiple projects and clients, follow the steps in this article. Set everything up, download Hubstaff, install it, and you’re ready to go. That’s it. Your employer should be responsible for setting up the tasks that they want you to do in their online project management software of choice, which will then be integrated with your list of tasks in Hubstaff. We recommend using project management software in conjunction with Hubstaff. When you do, it’s important to track your time to specific tasks instead of to general projects. This lets your employer know what you’ve been working on and for how long. If you need more clarity on a task, use the task management software to ask instead of email. This keeps communication all in one place and avoids email clutter. Want to really impress your employer or client? 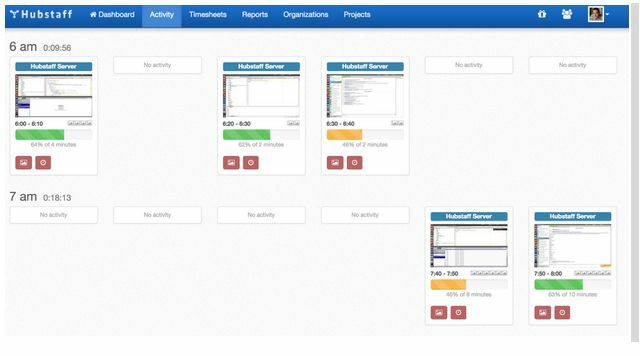 If you’re working and another task that’s helpful to the project occurs to you, suggest it within the task management software. You’ll generate more value for them, and they’ll appreciate you taking initiative and ownership over your work. Hubstaff automatically measures your activity levels based on the frequency of your keystrokes and mouse activity. This, combined with automatic screenshot capture, lets your employer know what you’ve been up to without you having to spend time in meetings or sending email updates, and it gives you something to show for your time if there’s a delay in deliverables. It’s pretty sweet! 95% – 100%– This activity level is not sustainable over a period of more than 30 minutes or so for most employees. If you push yourself to stay at this level, you risk getting burned out. 90% – 94% – Only the most active employees can reach this. It is reachable, but if your job involves lots of reading or analysis, it might not happen as often. 75% – 89% – This is the activity that you should expect from yourself on a regular basis. If you consistently reach these percentages, you’re in a great place. 60% – 74% – This is still a very acceptable activity level for a good employee. If you’re working at these levels consistently across the day, and it’s justifiable based on the type of work you do, then you’re ok. Check in with your boss to make sure they’re on the same page. 50% – 64% – This activity level is becoming questionable. At Hubstaff, we’ve seen that in general these employees are not as fast as other employees on their team. They may take longer to make decisions, or they are slower typers, or they are distracted by other things. See if you can improve your focus and find a better time or place to work if your activity levels are consistently in this range. 35% – 49% – These activity levels say, “I’m just trying to get by and log my hours.” Examine your working habits and see what you can do to make yourself more productive – see the Productivity Hacks section below for tips. 0% – 34% – Yikes! Your employer might think it’s time to find someone else for the job because it just doesn’t look like you’re working. What if I accidentally left the timer on? It happens, it’s totally natural, so don’t worry. 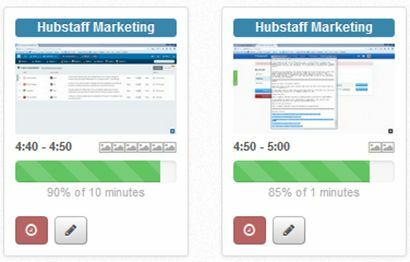 If you left the timer on while you were active on your computer but not working, just log in to your dashboard at hubstaff.com and then go to the Activity section. On the upper left, filter by the project you were working on, then click on the red button below your activity bar to delete the section of time where screenshots were being captured but you weren’t doing work on your project. If you left the timer on but stepped away from the computer, Hubstaff will automatically detect your idle time and generate a message asking if you’d like to remove it from the time you’re tracking. Accept and it’ll be automatically recalculated – or your can follow the same steps above. What if I forgot to start tracking time? If you’re coming back after taking a break, you might forget to turn your timer back on, or maybe you thought you clicked the start button but you didn’t. As soon as you realize this, start your timer! Then go into your dashboard and go to the Timesheets section. Filter by project, click on the Add time button, and manually add the time along with a note explaining what happened. If you want to really get in the habit of always tracking time, and you weren’t working for very long before you started the timer, you can just lose two or five minutes off your daily total as a reminder to switch on your timer. It’s frustrating enough that if it happens once or twice, you’ll learn not to do it again (the writer tried this and it works). I like to switch between multiple clients while I work. Can’t I just estimate the time I work and then manually add it to Hubstaff? Sorry, but this defeats the purpose of using Hubstaff, which is to protect both you and your employer and create trust. It might seem difficult at first, but you can definitely get in the habit of switching the timer on and off when you switch to working on a client’s project that requires tracking time via Hubstaff. Try doing it at first, and trust us that after a while, you’ll remember naturally. In any case, you probably can’t do really, truly productive work for a client working less than 15 or 20 minutes at a time – see below for tips on working in blocks of time – so you might not need to switch your timer on and off as often as you think. In some interfaces I have multiple client data open that I need to protect because of confidentiality. Can I turn off the screenshot feature? 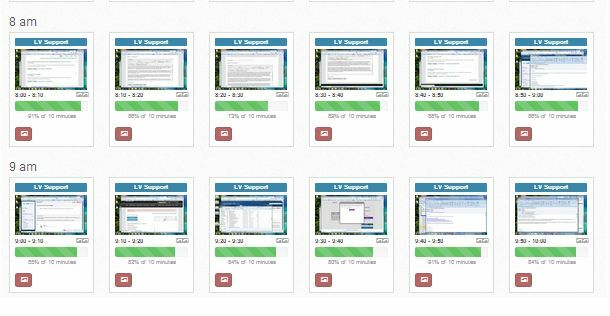 Hubstaff’s screenshot capture and productivity measuring feature for keystroke/mouse activity function independently of each other. That means you can do one or the other without having to choose. We understand that for some product interfaces it can be very difficult to protect one client’s data from the other. Talk to your employer or client about this issue, and get them to either blur screenshots for privacy or to turn the screenshot frequency capture to none in their Hubstaff settings for your organization. You can still measure your productivity on the amount of time you bill. Another option would be to delete screenshots from your account that show other clients’ data. Every so often, you might have trouble concentrating on the task at hand. This is normal. Either your activity percentages go down, or you have trouble actually motivating yourself to start your timer and focus on work, or your day seems too hectic to really sit down and get anything done. Read through this section to find out how to get your energy back up and your motivation flowing. At Hubstaff, we find that as a best practice, most people get optimal work done when they focus on their tasks for 20 minutes or more at a time. This allows you to get into your high productivity zone and to really dive into the task. Analytical tasks like computer programming or software development might take even more time. Some employers require their employees to work in blocks of no less than one hour so that they really get the chance to immerse themselves in their tasks. If you’re in doubt about this one, check on your own stats in the Activity tab and then talk to your employer and find out their preference, if any. As a rule of thumb, it’s best to work in chunks of 20 minutes, minimum. When you reach the end of whatever chunk of minutes you’ve set for yourself as a goal, take a small break. It can help to get up, stretch, move around, and then come back to the same problem. Small 5-10 minute breaks help keep your energy up and your mind more focused. Example 1: John has been assigned to write an article at 3:00pm on a Friday. He’ll sit down to his computer, start his Hubstaff timer, check work emails, then get started researching his article but… about 15 minutes into working he can’t resist taking a peek at Facebook. John turns off his timer and browses his news feed for the next half hour before he decides to get back to work. Again, another 20 minutes and this time… he really, really wants to check out something he’s dying to buy on Amazon. He compares products and eventually realizes he’s gotten lost on Amazon and gets back to work. He has to re-check his emails, reread the task description to make sure he’s on task, and then finally gets back into it – for another 15 minutes. John works this way and is more or less off and on his computer. In two days, he’s billed about three hours total on the task, and he’s finally done. John sends in the article on Sunday evening. Example 2: Jane has been assigned the same article, and she wants to get her work done fast, so she can make it to her friend’s birthday party. It’s 3:00pm and the party is at 8:00pm. Jane sets up her work environment to be close to an outlet, plugs in her computer, gets a glass of water and a mug of hot coffee, and starts writing. She plugs away for about an hour researching and writing, then gets up for a little bathroom break, and comes right back to work again for another hour. By that time, her draft is done, so she takes a quick stretch, then does a final edit and spelling check before sending off her draft to her boss. Jane bills two and a half hours on the project and by 5:00pm she’s completed her task, with enough free time to go to the gym, shower, and get ready for the party. Which worker would you rather be? Which worker do you think their employers prefer working with? Everyone has different times of the day when they’re most productive. Find yours and then stick to it. If your work is a long-term investment in relationships with clients, relationships that might turn into more work referrals or possible business partners in the future, then you owe it to yourself to do the best work you can at the time of day you’re most productive. In general, this time of day won’t be at 3:00am. People tend to fall into two groups – those who are more productive early in the morning, and those who prefer the late afternoon and early evening (the writer of this guide is in the latter group). Use your time for work wisely and you’ll get more done, freeing up more personal time for your own projects and creating healthy working relationships with your clients. Every person has a different place where they do their best work. For some, it’s in the silence of their home office; for others, it’s the bustle of a coffee shop. And some people need to periodically change where they work because the mental stimulation of changing locations helps them focus. Whatever your perfect work spot is, find it and do your work there. Employers love it when you finish your projects instead of letting them run on endlessly. When you’re working at a time of day and in a place that helps you really focus, then power through your tasks, get them done, and close them out. Some remote employees who just want to make a quick buck might think that they gain more when their tasks drag on and on because it means they get to bill more hours. Your employer has probably had their fill of this mentality – they want work to get done, and they also want to work with people who get things done. If you consider a working relationship as a long-term investment of your time that produces mutual benefit for you and your clients or managers, then you’ll want to be the sort of employee that’s looking to do more than just log as many hours as possible. Employers usually assign their workers a mix of tasks that are both high and low priority so that they always have something to do, especially if they understand that people need to work on a variety of things to feel engaged. However, that doesn’t mean that they’re all equally important for their purposes – so as an employee, you need to make sure you understand their priorities and work accordingly. If it’s not clear, it’s always better to ask instead of just going for it – you might end up spending hours on a low-priority tasks and only a few minutes on a higher priority task without realizing it. What happens when you double check priorities and work accordingly? You’ll stand out from all the other remote workers out there. Employers will see you as a truly valuable member of their team, someone they want to continue working with. You might also gain valuable referrals in the future for even more work. Again, investing some effort in your working relationship can yield huge benefits in the future. Psychologically, putting on a little music while you work can make a huge difference in your focus. First, music helps filter out the noise around you if you’re working close to other people, like in a cafe or coworking space. If you’re working alone, a little music can help fill the silence around you. Second, music can be a huge emotional boost – everyone has at least one favorite style, if not more. Think of it this way – you need to work no matter what in order to generate income. So why not make it pleasant for yourself by playing a little music? There are lots of options for listening to music on your laptop or streaming online, so experiment to see which one works best for you! This point is essential for working productively in the long term. Make sure you get eight hours of sleep each night (occasionally this might not happen, but don’t let it be routine). Eat healthy food that nourishes your body and gives you energy. Even if you’re very busy, make it a point to always make time to take care of yourself and you’ll reap huge rewards. While you’re working, make sure you have decent ergonomics. For your own ability to get work done, the last thing you need is neck or eye strain, carpal tunnel syndrome, or any of the other issues that can sideline people who work on a computer. Make sure your screen is at a height that’s easy to see, and that your keyboard is roughly the same level as your elbows. If you have lots of tasks to get done, or many recurring tasks, then set a plan for the day of the tasks you’ll tackle and when you’ll work on them, and then stick to it. What this does for you mentally is that it puts you in charge of your own time, and it gives you the structure that working in an office might otherwise provide. Schedule out all your to-do’s for the day, whether they’re work related or personal, and you’ll enjoy the satisfaction of crossing them off your list as you power through your day. Remote working is awesome because it gives you the flexibility to set your own hours, but that doesn’t mean you should completely throw routines out the window. Having a set schedule of work hours helps you just as much as it helps your clients. First, when you get into a pattern of working roughly the same hours on certain days of the week, your brain gears up naturally for this productive time. Second, It gives you structure to be able to plan out your day. And third, your clients will know when they can expect you to work, and what times are usually off-limits. Try to set a schedule of days and times when you’ll be working, and let your clients know so that everybody has the same expectations of when things will be getting done. So many remote working relationships succeed or fail based on the structure of communication in place. It’s vital for your own happiness as a remote worker that you have established communications procedures and go above and beyond them. Not only will they help prevent misunderstandings, they’ll also help you feel more connected to your work and your team. 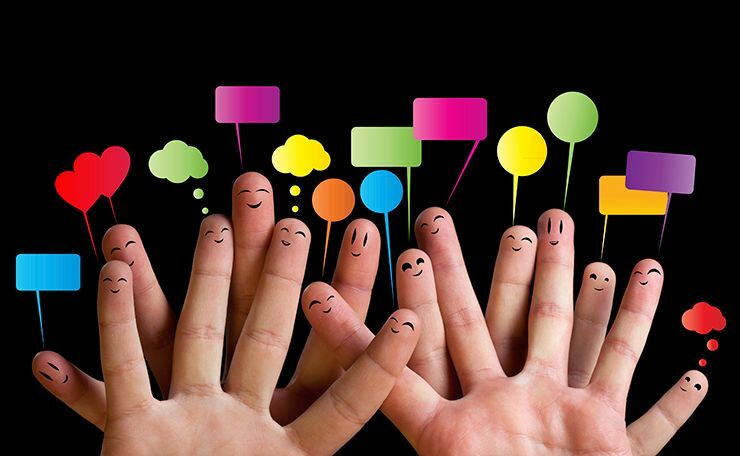 You and your employer should have clearly agreed upon methods and frequency of communication. Some people expect a weekly or daily summary of your activity; other people want to have a Skype call; and others are perfectly happy to simply log into a chat client and answer your questions as needed. If your employer doesn’t specify this for you, just ask to find out how often they’d like to hear from you and via what methods. Then make sure you follow through. Let your employer know what you’re up to a little more often than they’ve asked you to, unless they make it 100% clear that they really don’t need that much communication from you. If you don’t understand a task, ask any and all questions you have before you begin work. It’s much better to save your time before beginning work than to have wasted time going in the wrong direction. If in doubt, over-communicate. When your employer sends you an email, reply so they know you received it and understood it, even if it’s just a simple “Ok, got it! Thanks.” Psychologically, this makes a huge difference to your clients and it will contribute enormously to their satisfaction and willingness to continue working with you. If there’s a missed deadline or a roadblock in your work (it happens), being warned of it will be much easier to accept than discovering it after the fact. They’ll appreciate hearing about your wins just as much as your problems ahead of time. This is related to working consistent hours. When your employer knows when you will and won’t be available, they’ll have reasonable expectations about the best times to communicate important information to you. Set up a schedule of when you’re expected to respond to emails, chats, etc., and you’ll find that your clients will have much greater peace of mind knowing that you’ll be reachable. If your employer doesn’t suggest a schedule, it’s your responsibility to let them know when they can expect you to be available, whether it’s during standard work hours, or more. In general, you can’t be available while you’re sleeping or doing basic necessities, so carving out at least a little off-time for yourself will help set the client’s expectations of what your boundaries are. That’s it – if you follow these techniques for using Hubstaff and increasing your productivity, you should be able to have mostly healthy, productive working relationships with your clients. We’d love to hear more about your experiences using these techniques with Hubstaff via our blog, on Twitter, or via email at support@hubstaff.com. Jennifer Roberts is the Marketing and Integrations Manager for Hubstaff. She's worked with large brands and startups from North America, South America, and Europe on their marketing, content, and growth strategy. In her free time she dances, sings, and blogs about work-life balance and organic gardening.